Summer, the year’s most anticipated season, is here – and so are endless days of hanging out at beaches, lakes and pools. This is the perfect playlist to relax and recharge your batteries by the water. Jump in, refresh, repeat! What is better than a pool? A pool with a waterfall. For the unfortunate among us without one, there is still TLC’s famous song reminding us: “Don’t go chasing waterfalls”. Australian electronica producer Flume teamed up with Canadian singer Kai for what turned out to be one of his greatest hits. It’s best enjoyed with closed eyes and your arms swinging around in the air. If the sun is not getting your temperature up, this song by the unofficial king of dancehall will do the trick for sure. And in case it gets too hot for you – a quick jump in the pool will provide the refreshment you need. Worrying about your beach body? Not with you – and Nicki and Queen Bey! This song is self-confidence, empowerment and attitude in a jar. Turn up the volume and start dancing with your (girl) gang. Even without knowing whether Kanye West thought about pools and summer when writing this song or not, there is an ultimate truth connected to it: Pool life is good life. Throw your hands and towels in the sky – AYE! Listening to this song immediately transports you into an infinity pool on a high-rise rooftop, figuratively. Its’ urban summer vibes show a bit of melancholia, but also promise great adventures waiting for you. Everybody knows the Florence + the Machine cover version, yet once in a while it is nice to go back to the roots. The original by The Source & Candi Staton is just as cheerful with a pinch of retro vibes. Chromeo are known for their funky electro beats that ooze out summer ease. On top: Solange’s soulful singing makes this song a dreamy escape that is your perfect “laying by the pool and enjoying the sunset” soundtrack. This 1990s gem never goes out of style. It’s a song about testing your limits and conquering new frontiers. Jump into the water, start swimming and see where it takes you! Trumpets, congas and a man singing about love: This track ticks all the boxes to be your next summer anthem. Throw prodigy Felix Jaehn in the mix and you will not be able to resist having this track on repeat for hours. Missy “Misdemeanor” Elliott says what we’re all thinking during summer: “I can’t stand the rain”. Y’all sing along to keep the rain away! Fortunately, pools are very save waters, so you won’t have to fear for any sharks in the water – except for blow-up sharks. 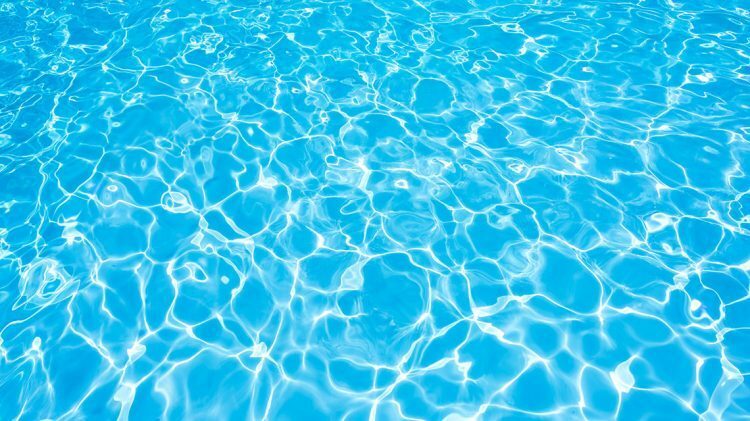 A day by the pool can be extremely dehydrating – even when you’re in the water all day. Let this track be your constant reminder to fill up on “lemonade, lemonade”. Frank Ocean’s idiosyncratic music style makes him one of the most interesting songwriters of our time. The melancholic, yet groovy “Pyramids” will have you reminiscing, longing and raving – all in the time span of just one song. You don’t have to like Piña Coladas to love this song! Rupert Holmes’ classic about a worn out love that turns into a new one has everything you wished for: drama, drinks and happy endings.